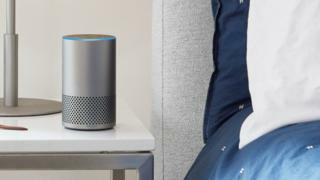 A user of Amazon's smart assistant Alexa was sent 1,700 audio files from a complete stranger, after he requested access to his own recordings. Amazon described the incident as an "isolated case" and put the mistake down to human error. The user, based in Germany, said that he informed Amazon of the issue but got no reply. The files were later deleted from the link Amazon sent him but remained downloaded on his computer. The online retail giant said in a statement: "This was an unfortunate case of human error and an isolated incident. We have resolved the issue with the two customers involved and have taken steps to further improve our processes. We were also in touch on a precautionary basis with the relevant regulatory authorities." The man requested access to his data under the new EU General Data Protection Regulation (GDPR). Steve Kuncewicz, a partner at law firm BLM said that it was "quite embarrassing" for Amazon but the fact that it only involved the data of one person meant the regulator might "take a pragmatic approach". However the man whose data was exposed could have a civil case to answer should he wish to pursue it, he added. The story was first reported by technlogy magazine C't in Germany. It said that the man had provided the recordings to the magazine and it was able to get in touch with person in question. It added that the audio files revealed a lot of personal data, including where he lived, who his partner is and his taste in music. It also said that some of the recordings were from when he was in the shower. Anyone wishing to find out what Amazon records when they communicate with Alexa can do so via Amazon's website. They can also delete the stored audio files. In May it was revealed that a conversation between a couple in Portland, Oregon was sent to a random person in their contacts list. Amazon shipped 6.3 million Echo devices - Alexa-enabled smart speakers - worldwide in the third quarter of 2018, it recently said.